This popular track has been resonating among the international Reggae and Dancehall scene, since it was featured across many music platforms as a track uploaded to showcase the artists versatility and lyrical flow. Since this was uploaded it has been noticed widely across the world, many fans internationally took to it. Due to its concept, being one of which many people can, and have related to at some point in their life, not only focused on a curtain ethnic group but that can be related to by all. 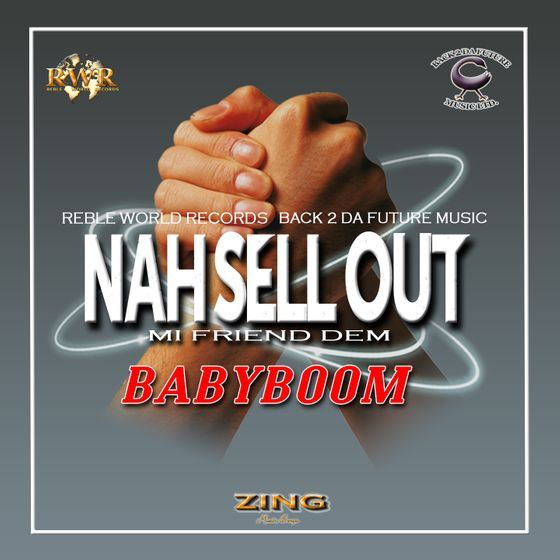 “Nah Sell Out Mi Friends Dem” was first given out for promotional purposes in 2010. Since then the single has gained a large following globally and Reble World Records has now released the single officially, as fans has consistently been asking “where can they purchase the song for download”. During this process we have come across a number of previously unreleased singles by BabyBoom, and we have decided to compile them together to create a 5-track EP namely “The Lost Tapes”. Here all fans can purchase some most popular unreleased BabyBoom tracks. We want to thank all the fans across the world that have been following BabyBoom’s musical journey and we are thankful for all the positive messages received regarding some of their most favorable tracks. Nah Sell Out Mi Friends Dem is OUT NOW!! On all Digital Platforms.